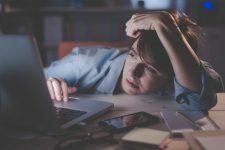 Chronic sleep deprivation is by all accounts a problem of the modern world, where work demands require more and more of our time -- and that does not even account for social/family obligations, medical problems or sleep disorders. In its very acute form, sleep deprivation has little long-term consequences. However, cumulative sleep debt can cause deleterious effects on the immune system, inflammation, carbohydrate metabolism and appetite regulation. Until recently, the mechanism for how such effects actually occur was unknown. A recent Finnish paper, published in Nature’s Scientific Reports, aimed to answer two questions: (1) How does sleep deprivation affect alterations in metabolism and inflammation? and (2) Can these changes explain or account for previous epidemiological data, suggesting that lack of sleep is involved with atherosclerosis (stiffening of blood vessels from cholesterol buildup)? The analysis included 21 subjects, 14 of whom were subjected to sleep restricted to four hours per night over five days, and seven controls whose sleep was not restricted. Further, the researchers analyzed data from a cohort of 2,739 individuals reporting on sleep insufficiency. The data reveal that upon examination of blood samples from those individuals suffering from prolonged lack of sleep, there were simultaneous changes in the genes involved in the metabolic pathway that regulates cholesterol transport and inflammation – thus affecting the amount of cholesterol present in those samples. These factors are known to predispose individuals to developing cardiovascular disease. In both the experimental or natural living conditions, the changes observed were decreased levels of proteins that are involved in transporting cholesterol molecules from the blood such as a decrease in HDL (“good”) cholesterol – which acts as a scavenger of cholesterol, removing it from tissues and taking it to the liver for recycling or excretion. Even though there were lower circulating levels of LDL (“bad”) cholesterol as well, according to the authors, it is the decrease in HDL that is regarded as the important factor in the risk for developing cardiovascular disease. Other observations included an increase in genes that code for molecules that are pro-inflammatory (cytokines) as well as C-reactive protein (CRP) and tumor necrosis factor (TNF-α), which in themselves, are risk factors for developing heart disease. 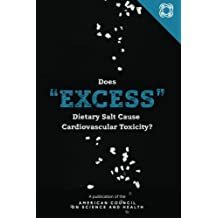 Though the experimental aspect of the study contained a small number of participants the results are still consistent with plenty of epidemiological data. On the basis of such results, we can now stress the importance of sleep. While prescribing medications to deal with medical conditions is important, it is equally important to stress non-prescription methods for the purposes of both disease prevention and treatment.